Farm and Garden Camp takes place in the barns, gardens, and farmhouse of the Hampshire College Farm Center. The Farm Center is located in South Amherst, Massachusetts at 893 West St. (Rt. 116), north of the main entrance of the campus and just past the Admissions building. You can view a map of Hampshire's entire farm here; Thorpe House is our home base and area for drop off and pick up. What is the farm like? The Hampshire College Farm Center is based at the Thorpe House, a classic New England Farmhouse with a complete kitchen, craft room, sun room with windows on three sides, and 2 bathrooms. Our outdoor space includes a grassy play space with picnic tables for lunch and a range of outdoor play materials. 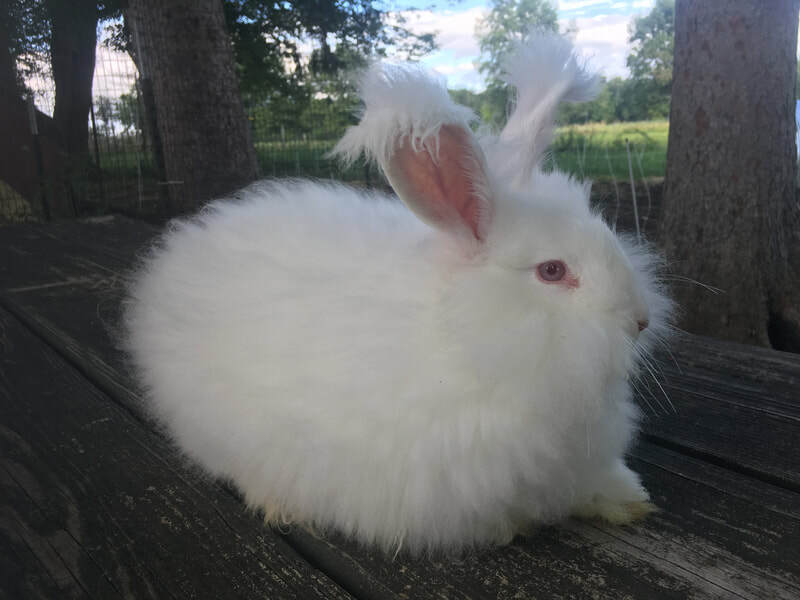 We can often be found in the barn visiting with the chickens, bunnies, and goats or walking the farm roads on our way to pick veggies and flowers from the farm fields. What kinds of activities will my camper participate in? 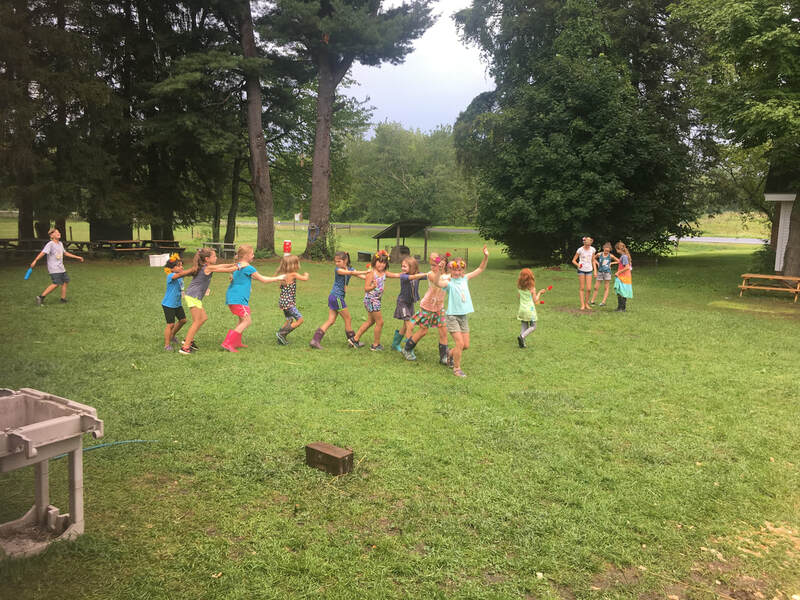 See the flow of a typical camp day here! What should my child/teen wear and bring? Backpack or bag for bringing home swimsuit, towel, woolcrafts, etc. Sunblock/bug repellent should be applied before campers arrive. Staff may help campers to reapply spray sunscreen with written permission from a guardian. My 13-year-old is interested in helping out. Can they volunteer? 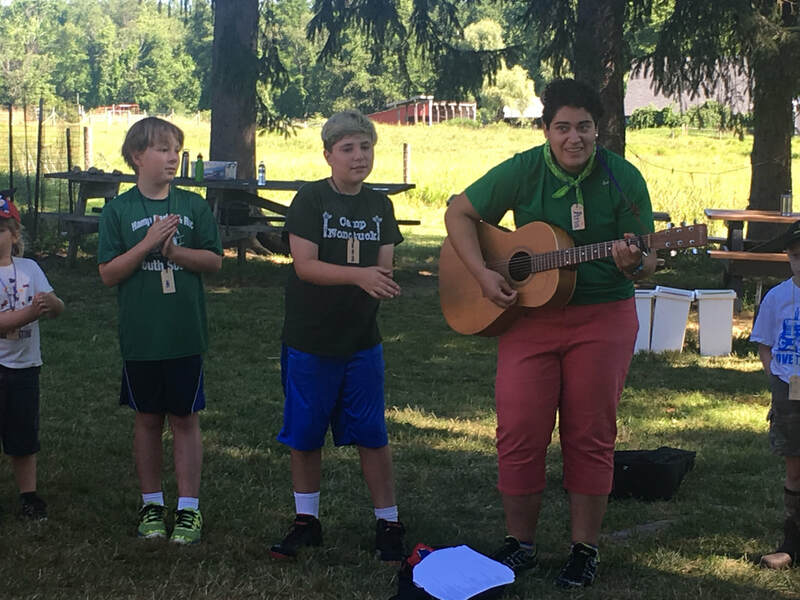 We have a successive leadership development program for 6th-10th graders that teaches them about farm and garden ecology, farm infrastructure, animal care, and working with campers. This program also offers leadership training that prepares participants to become not only CITs and Instructors at camp but confident leaders in life. View details here. How do I register and hold a spot for my child/teen? A $150 registration deposit is due at time of registration to hold your camper's spot at camp. Complete payment is due by June 1st. You can view our cancellation/refund policy here. Registration opens on January 15th for returning families and February 1st for new campers. Please click the registration button when it becomes available.